A new production of the critically acclaimed Broadway musical had a smashing premiere in Lincoln Park. The Bechdel Family poses for a portrait. I am entirely smitten with Alison Bechdel. I’ve read Fun Home three times. In my fields, gender and sexuality studies and creative writing, the autobiographical graphic novel pops up on syllabi left and right. For good reason, too. Through the lens of the relationship between memory and writing, Fun Home depicts Alison reflecting on her childhood and early adulthood as she comes into her lesbian identity and family dynamic in the wake of her father’s suicide. So I went to Victory Gardens’ production of the musical Fun Home ready to laugh, cry, and think a whole lot about my childhood. And the “family tragicomic” did not fail to deliver. For all its claims to diversity, Broadway did not feature any lesbian protagonists until Fun Home performed in theaters in 2015. The show toured nationally with great critical acclaim, especially for writers Lisa Kron and Jeanine Tesori, an all-female writing team, which is another rarity in the world of Broadway. On stage, Alison Bechdel comes to life in three forms: Small Alison in childhood (Stella Rose Hoyt), Medium Alison in college (Hannah Starr), and adult cartoonist Alison (Danni Smith). As Alison grapples with her memories, these three leading actresses often appear on stage simultaneously. Three women on stage at once outside of a chorus is still a musical theater rarity. But Fun Home is redefining norms, and it’s about damn time. The musical feels cozy in its Lincoln Park residence for this two-month run. Victory Gardens seats sizable audiences, but not so large that you lose a sense of the community around you. There was a unity in the audience’s response unlike many other shows I’ve seen. I saw the rows in front of me wave with emotion, heads bobbing with laughter and hands raising to wipe away tears. This speaks to the power of the cast: Every actor knows exactly what they are trying to convey with their role, and they have the skill to do it. Rob Lindley left a particular impression as Bruce Bechdel, Alison’s father. He was magnetic, drawing attention on every entrance, fitting for a character who is both charismatic and authoritarian. While the narrative is preoccupied with his death, Lindley’s rendering is incredibly alive, even when he is bent over the embalming table of the “Fun Home,” the family-run funeral business. He made exacting efforts to maintain the façade of his perfect home, but for the audience, the window was wide open to his desire and his pain, and every bit of it hurts. Medium Alison (Hannah Starr) embraces her sexuality and her newfound freedom in college. Although Lindley has such a dominating presence in the show, mirroring Bruce Bechdel’s looming presence in the narrative, the rest of the cast powerfully holds its own. Starr’s Medium Alison brings a hilarious and honest rendition of “Changing My Major,” a number documenting her reaction to her first lesbian sexual experience, performed in a pair of white briefs. “Ring of Keys” is another standout and a personal favorite. Hoyt, a fifth grader, is unforgettable as Small Alison, doing every justice to the song’s exploration of identity and representation. Chicago is lucky to have this cast. 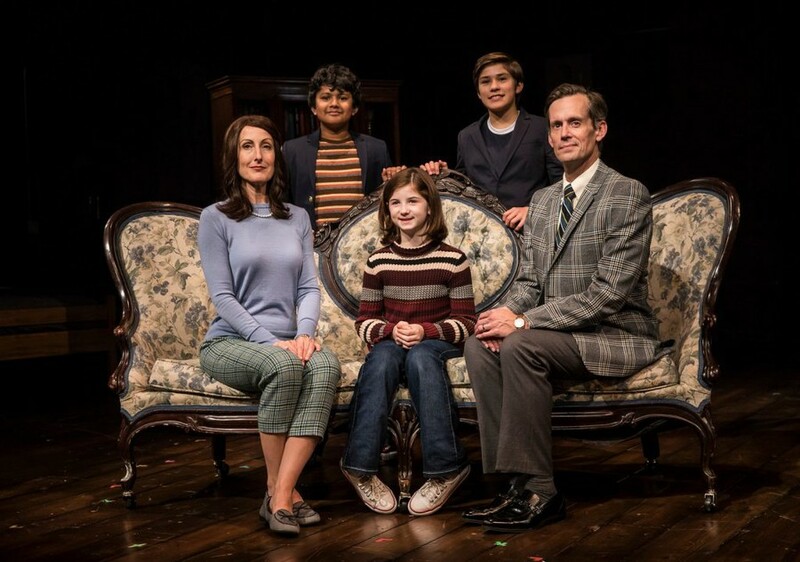 If that’s not enough to convince you, here’s why you should see it: Fun Home will be good for your health. Not only is the music great and the cast talented, but the experience of the show acts as a practice in self-reflection. Alison’s personal narrative digs into memories, finding common ground in feelings: the need to make sense of our pasts and to see ourselves represented in the world. Whether you are already a fan of the show, or read the graphic novel in Hum, or know nothing about it, every minute of Fun Home's relentless hour and a half is worthwhile. Hop on the Red Line, go see it, and then talk about it all the way back to campus. 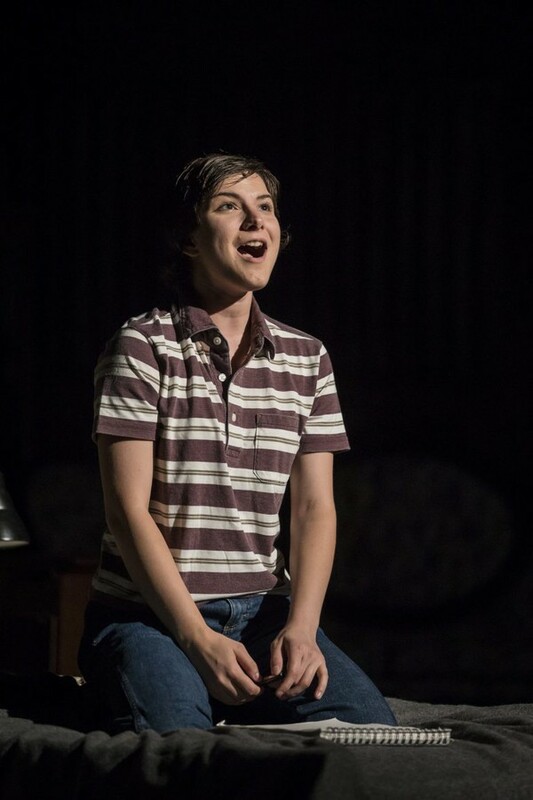 See Fun Home at Victory Gardens Theater now through November 12. Arts Pass performance Thursday, October 26, with $15 tickets and free transportation with UCID.